Singapore Freebies: Cetaphil®: Delivering Free Daily Advance Ultra Hydrating Lotion Samples to your Doorstep!! 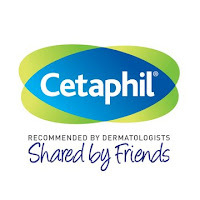 Cetaphil®: Delivering Free Daily Advance Ultra Hydrating Lotion Samples to your Doorstep!! Cetaphil is dedicated to effective cleansing... while being completely gentle on your skin. That's why we've developed a range of products that's right for you, regardless of your skin type. So whether your skin is easily irritated and dry, or accumulates excessive oil, you'll find a Cetaphil product that's formulated just for you. This is why Cetaphil is the number 1 skincare brand recommended by dermatologists worldwide, and why we'd like to share a good thing with you.